Digitalisation has been ploughing through virtually all fields of business in recent years, bringing new processes and solutions to life. A number of organisations are already reaping the rewards through new transformational strategies, optimised workflows and increased productivity. In many fields, however, the seeds and opportunities of digitalisation are yet to flourish. 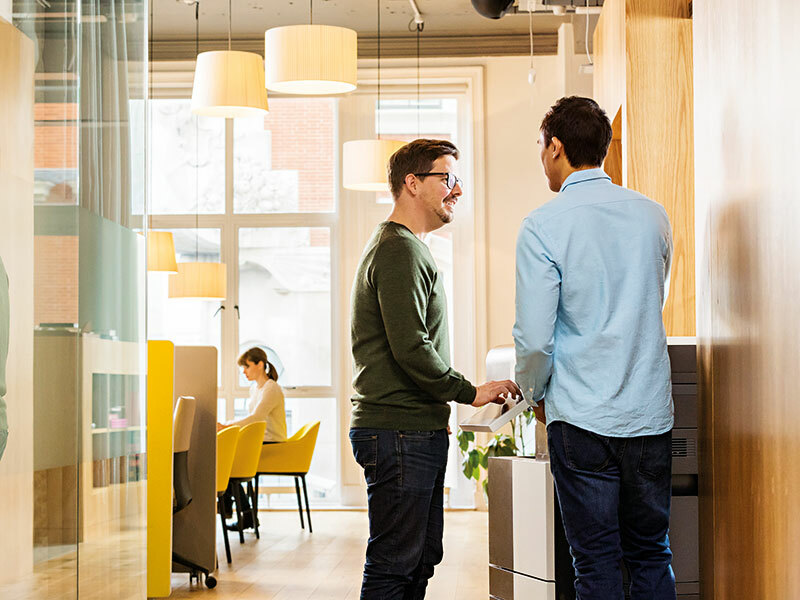 That’s why at Konica Minolta we have created a number of solutions to better connect businesses: we understand that digital technology will change the way we work and ultimately what we produce as a society. Put simply, as the workforce – and its needs – changes, so do the requirements of the spaces in which it operates. Work is no longer a question of where you are: it’s what you accomplish and how. When workplaces embrace new technology, members of staff can create, develop and adapt their working practices in different ways. With the use of the Konica Minolta Ideation Platform, for example, workers can crowdsource new ideas from all employees across the business, as well as from external partners. This helps to build a strong culture of innovation throughout the company, and stops workers relying on traditional ‘closed-door’ processes. Similarly, when employees need to find a room at short notice, or one that matches specific requirements, the Konica Minolta Smart Room Booking System prototype shows them which rooms are available through the use of presence detection and visualisation software. Such solutions help employees better connect with ideas, with one another and with the spaces in which they work. Sometimes, however, it takes a bigger solution – one that simplifies complex processes and unleashes the power of collaboration among colleagues – to help a company harness the full potential of digital processes. Fortunately, our Workplace Hub can help businesses achieve this. Designed to work as a basis for all IT functions within an organisation, Workplace Hub unites a company’s systems into one interface and integrates itself organically into existing environments, making transitions between company departments seamless. Focused on accelerating internal efficiency, coping with increased data flows and maintaining the highest technological, security and legal standards, this approach unburdens employees – and especially IT departments – from time-consuming and repetitive tasks so they can direct their resources towards core business projects. New digital technologies are initiating the Fourth Industrial Revolution, and the opportunities it will create are just as likely to be found on production floors and in manufacturing environments as they are in modern offices. Through connected and automated technologies, production can be elevated to never-before-seen levels of efficiency. Leveraging our significant manufacturing experience – as well as our strengths in optical and sensory solutions – we have developed AIRe Lens to help organisations that are looking to digitalise their processes. 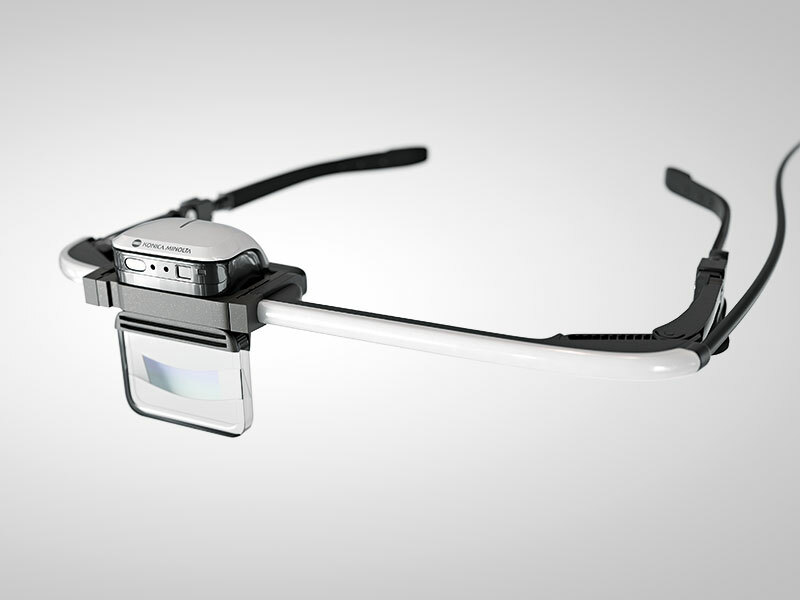 These ‘smart glasses’ consist of an optical, head-mounted, augmented-reality device with a transparent display that can be controlled via simple gestures or the push of a button. The solution is designed to guide industry operators through maintenance and assembly processes step by step. Through Konica Minolta’s customer-centric business approach, it is possible to constantly develop products and services that help organisations adapt to the changing business environment. Konica Minolta is a long-term partner that creates modern technological solutions with global service support, helping clients make their organisations future-proof while still focusing on today’s business needs.